I’m going to be totally honest. I am really into booze right now. We had a rough couple of months, plus while I was pregnant I wasn’t drinking, so I feel like this is my window of opportunity. I’m letting loose for a little while. It’s not like I’m getting wasted every night, (I’m not 21 anymore) but cocktail and night caps are absolutely on my menu. And beer. And wine… but most of all, cocktails. 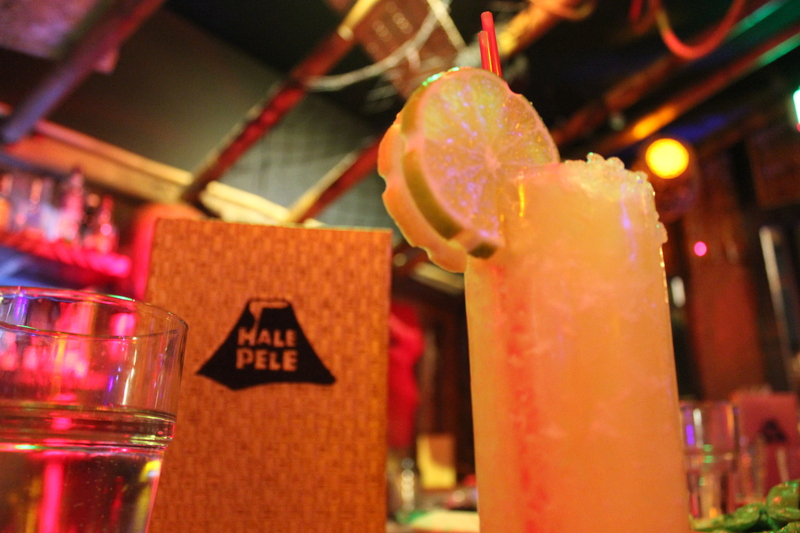 And my favorite type of cocktail are tiki drinks, so on the night before we left on our Victoria, BC vacation, Jacob and I hit up Hele Pele to celebrate and have some fun with our friends. 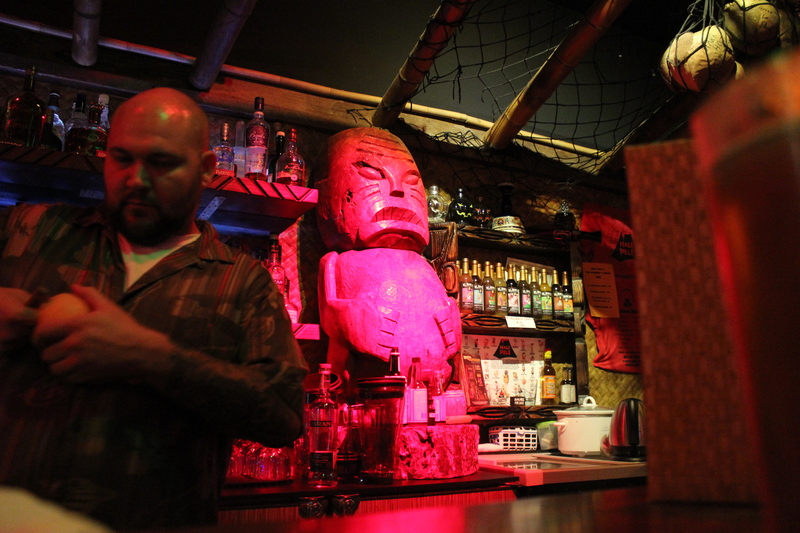 Hele Pele has been one of my favorite bars for a few years (It used to be called Thatch), so it was a great coincidence when one of our friends, Jesse, started bartending there. 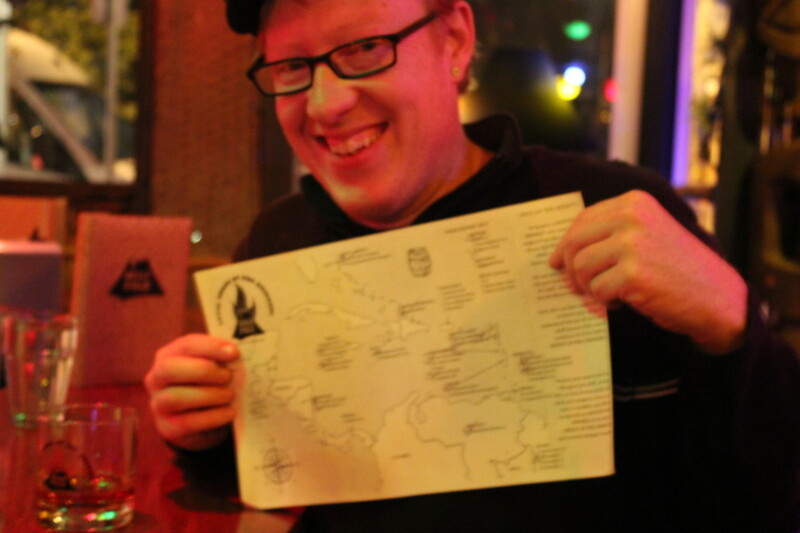 He’s just home from a few years in the Virgin Islands, and highly qualified as an expert on tropical drinks. 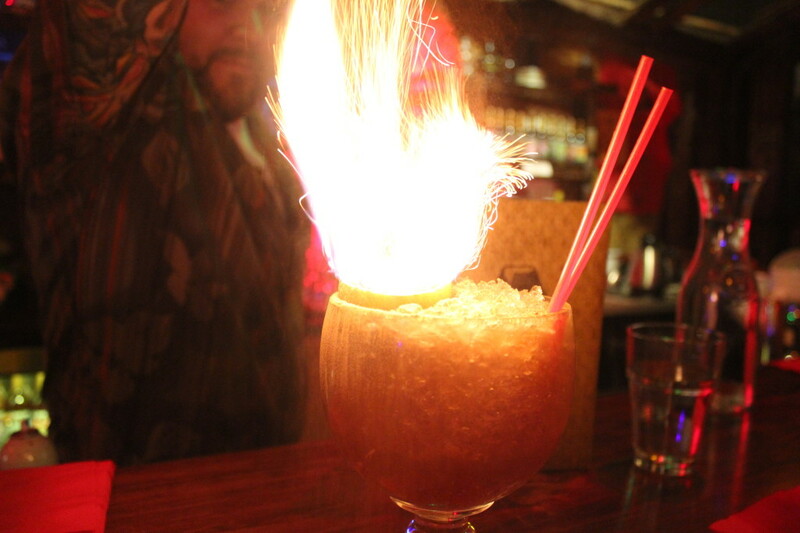 He started me off a fun flaming thing called the Jet Pilot that he made flame up with a hand full of cinnamon. It was strong, delicious and not too sweet. I love how cozy this place is. 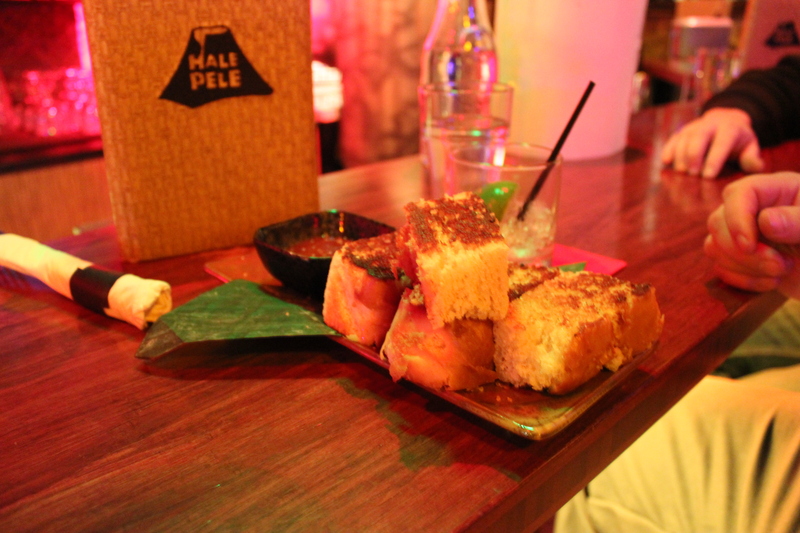 Unlike the other tiki bars in town, like Trader Vic’s and The Alibi, Held Pele is small, dark and intimate. 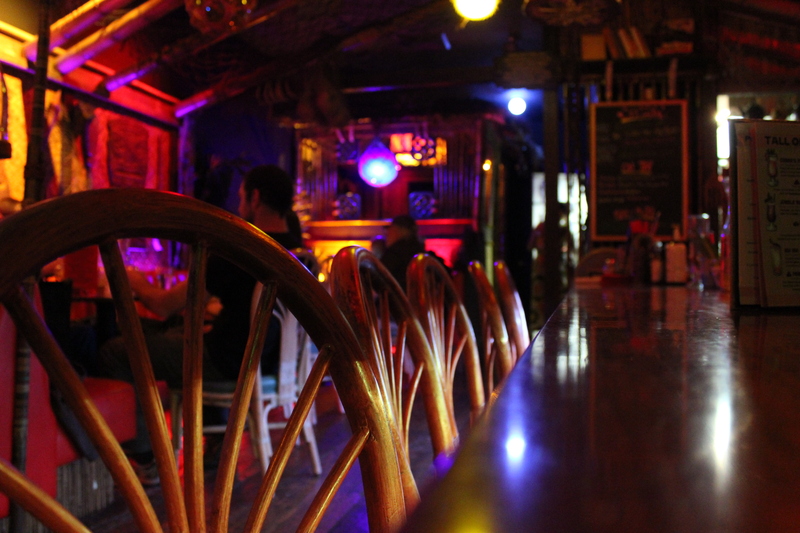 It’s the perfect place to warm up with a strong drink and good conversation on a cold, rainy Portland night. 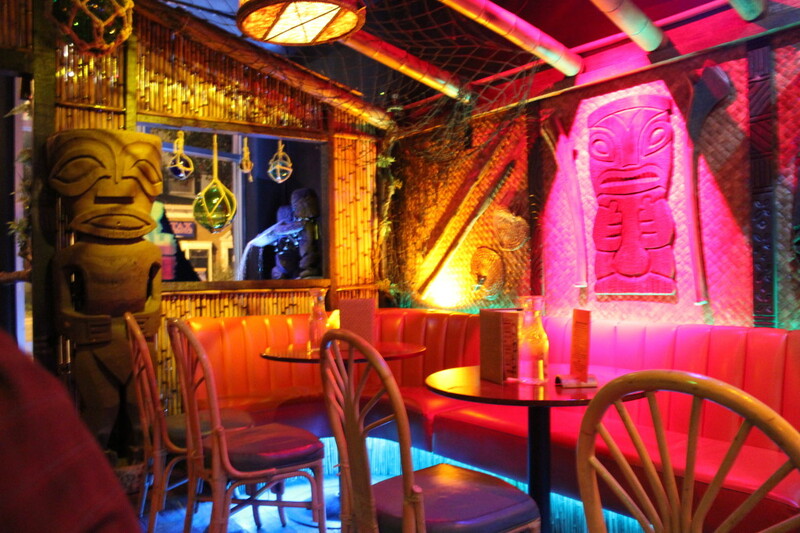 It also has some of the best decorations with blowfish lights, massive tiki gods, a thatched ceiling and an active volcano (for real). Even when Jesse isn’t working, I like to sit at the sunken bar so I can watch the fancy drinks being made. The funny thing about this bar is that it’s tucked into a strip of stores on NE Broadway, surrounded by a donut shop, nail salon, and a kid’s resale shop, so it’s easy to miss. But I strongly suggest stopping in for a drink. Perhaps after a movie at nearby Lloyd Center? A little taste of the islands might be just the thing you need to make it through the cold winter months.